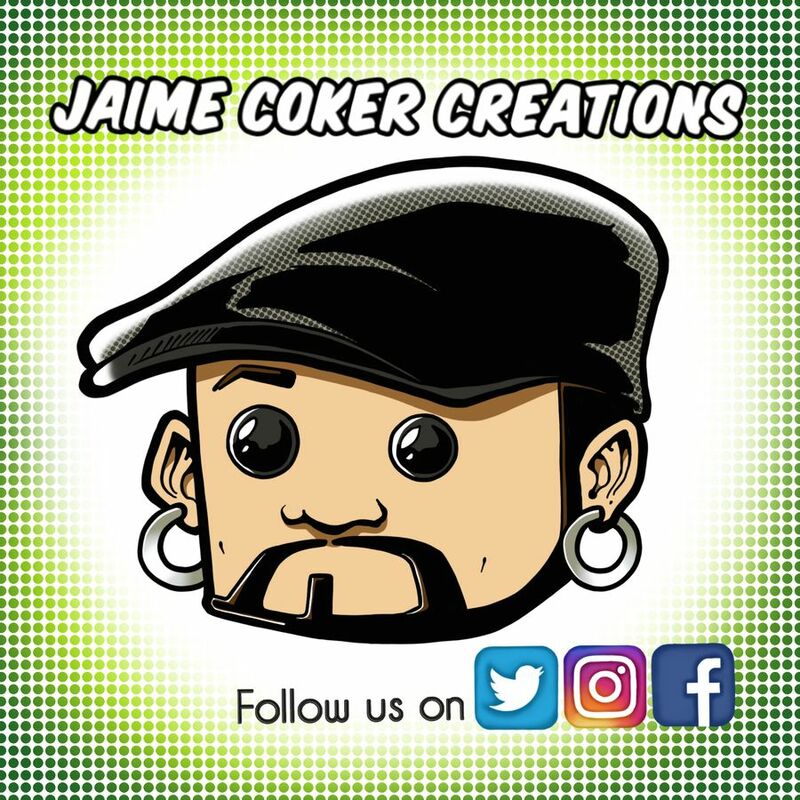 The motto of Jaime Coker Creations is “Celebrate Your Fandom”... and with the artist prints, sketch cards, pins, stickers, keychains, posters, (and more) that we offer we’ve got you covered! Based out of Minnesota, we offer original artwork for devotees of many different fandoms, and do our very best to help our customers express their loyalties for their favorite characters, genres, and stories. We even take ideas for future projects (some of our art pieces were inspired by customer requests). We love to talk about our favorite fandoms as well, so stop by!